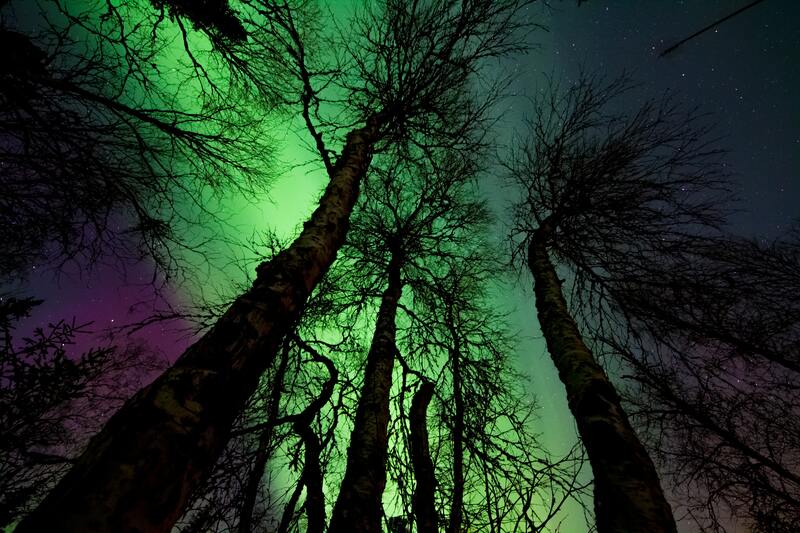 The enchanting sight of the dazzling Aurora Borealis always leaves viewers mesmerised, breathless and amazed. In 1616, the astronomer Galileo Galilei named the northern lights after the Roman Goddess of the dawn, Aurora, and the Greek name for wind of the north, Boreas. The name Aurora Borealis also means “dawn of the north”. Our sun lies in the centre of the solar system, its magnetic fields distorts and twists as it rotates on its axis. When these fields are tied together, they burst thus creating sunspots that usually occur in pairs. The largest sunspot could even be many times bigger than the size of our Earth’s diameter. Meanwhile, the center of the sun is around 27 million degrees fahrenheit and as the temperature on its surface rises and falls, the sun will boil and bubble. Particles drop out from the sun’s sunspot areas on its surface and hurls particles of plasma, which is well known as solar winds, right into space. When it reaches to space, the winds would take approximately 40 hours to reach Earth. Thus, the Aurora Borealis is formed. Does Aurora Borealis occur on other planets as well? Auroras do occur on other planets in our Solar System and these planets are also known as exoplanets. Giant gas planets in our solar system such as Jupiter, Saturn, Uranus and Neptune possess thick atmospheres with strong magnetic fields thus causing them to each have an Aurora. However, these Auroras appear slightly different from the ones on Earth as they are formed under different situations. Meanwhile, Venus also has an Aurora due to its magnetic field that stretches out, also called a magnetotail. On the other hand, Mars has an extremely thin atmosphere, therefore it experiences local auroras as its magnetic field is located in the crust. What causes the colours of the Northern Lights? 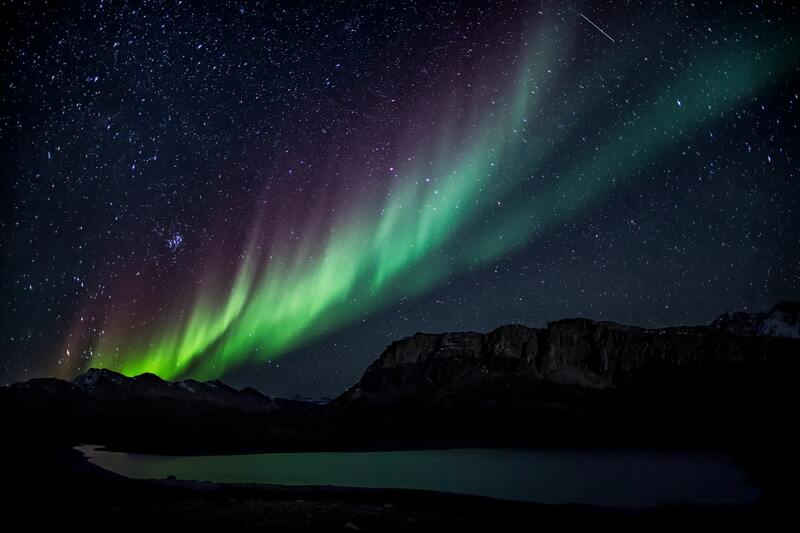 The colours that are associated with the Aurora Borealis are usually yellow, blue, green, violet, pink, white and orange. When particles collide with oxygen, the colours green and yellow occur. Meanwhile, interactions with nitrogen would produce the colour red, violet or maybe blue. Atomic collision would result a blue display while molecular collision would bring out a purple colour. Static bands of aurora lights are usually seen or when there are strong solar flares, the lights would look like a flapping curtain that changes its colour or maybe appear as patches of scattered clouds, arcs or even shooting rays. What is the history of the Northern Lights? The Aurora Borealis has been a mystery to people thus causes lots of speculations. Paintings of the phenomenon were found in caves in France. Meanwhile, way back during a more superstitious era, the lights were believed to be an omen of war. Classic astronomers, writers and even philosophers such as Aristotle and Descartes have incorporated the Auroras in their masterpieces. The Menominee Indians believed that the lights showed the location of manabai’wok, who are giants and were known as the spirits of great hunters. Meanwhile, the Inuit of Alaska believed that the lights were the spirits of hunted animals and also their ancestors while aborigines believed that the lights were the spirits of their loved ones. Where is the best place to witness the Aurora Borealis? The best places to witness this breathtaking sight are at Norway, Alaska, Sweden, northern Canada, such as Yukon, Nunavut and Finland. The solar cycle takes a period of 11 years and this is when the sun is at its peak of activity. During cycles of active solar flares, the lights could even be seen from further south at the top of Scotland, New Orleans and even northern England. Auroral displays could also be seen at the southern tip of Greenland and Iceland and also over the coastal waters located north of Siberia. Night time in winter is the perfect time to watch the Northern Lights as the levels of light pollution are low and the air is clear. The best months to view this spectacular phenomenon would be in the months of March, April, September and October as the lights are brighter and more active for nearly two days as there would be extremely high sunspot activities happening. 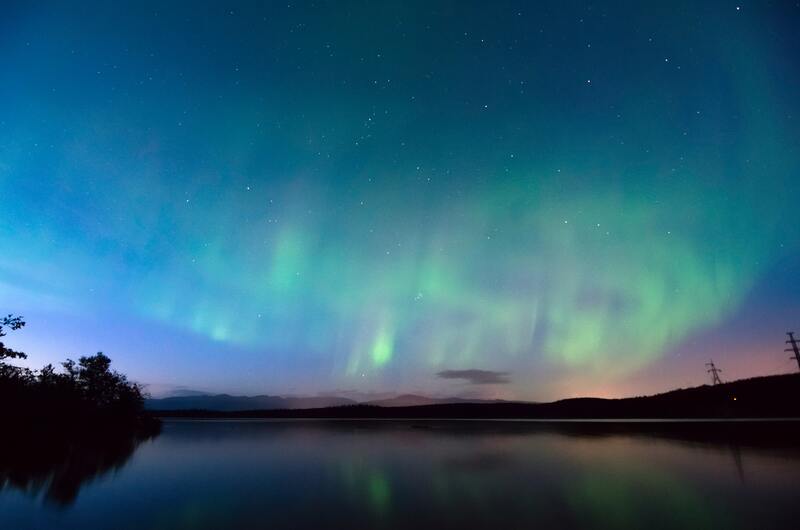 Agencies such as the National Aeronautics and Space Administration would also monitor solar activities and issue alerts when the Auroras would appear and steal the show. Is the Aurora Borealis always there? Auroras usually occur in high latitudes and nearer to the Earth’s poles, as electrons tend to travel along magnetic field lines. The Earth’s magnetic field line branches out and penetrates into the Earth near the poles. Meanwhile, Auroras have also been seen at Mexico, which is located far south. Auroras are also viewable at night at areas such as Greenland and Alaska for around a period of a year. Besides, according to the University of Alaska Fairbanks Geophysical Institute, there’s always an aurora visible on earth and the only thing that affects their visibility is the condition of the sky. Can we hear the Aurora Lights? Scientists concluded that the upper atmosphere where the lights take place is too thin for any emission of sound waves. Besides, Auroras are far from earth thus resulting in a five-minute sound wave travel before it reaches our ears. However, they are people who have claimed to hear whooshing or cackling noises when the aurora occurs. 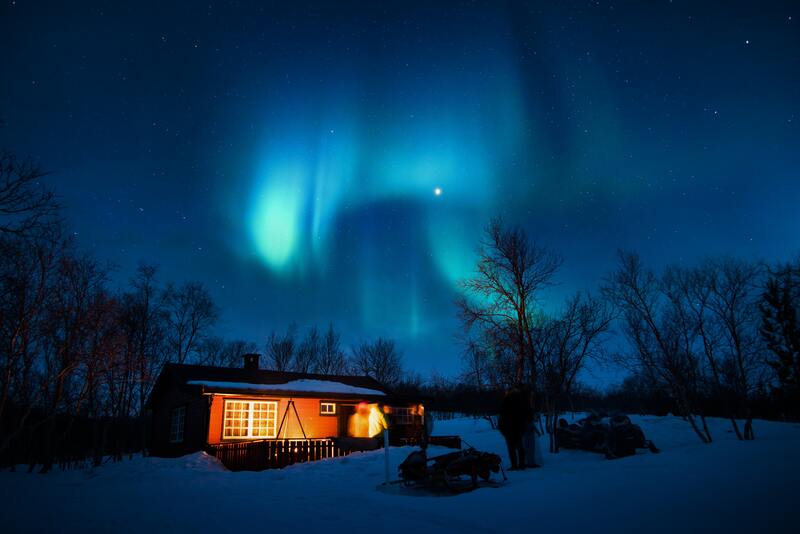 Research groups from Denmark and Finland have also recorded sounds from the Auroras. On the other hand, some explorers from the earlier days discovered that by covering one’s eyes, the sounds would dissipate. Therefore, the Geophysical Institute suggested that the sound perception might be the cause of “signal leakage” from our brain’s overstimulated visual centers or by the Aurora’s energetic phenomena. Yes, there are also lights that occur in the Southern magnetic pole and they are called Aurora Australis. These lights have to be active in order for a fairly clear view to be seen in Antartica, Hobart, Tasmania and also the southern edge of New Zealand. Large spirals which are occasionally seen in the auroras are actually mirror images of the Northern Lights. When there is winter and the northern hemisphere is in darkness, there will be light around the South Pole. As such, these sightings could only be seen when it’s winter in Antartica, which coincides with summer in the northern hemisphere. However, Southern Lights are not popular as they are located at places such as South Georgia Island, New Zealand and the Falkland Islands, which are well known to have a lesser land mass. What is the clearest way to view the Northern Lights? The clearest way to view the Northern Lights would be through the lens of a camera. Auroras can be practically dim and the red lights equipped in cameras would emit and catch up on what our naked eyes would miss. On the other hand, cameras also have long exposure settings, thus resulting in clearer images of the magnificent lights to be captured in the clear dark sky.